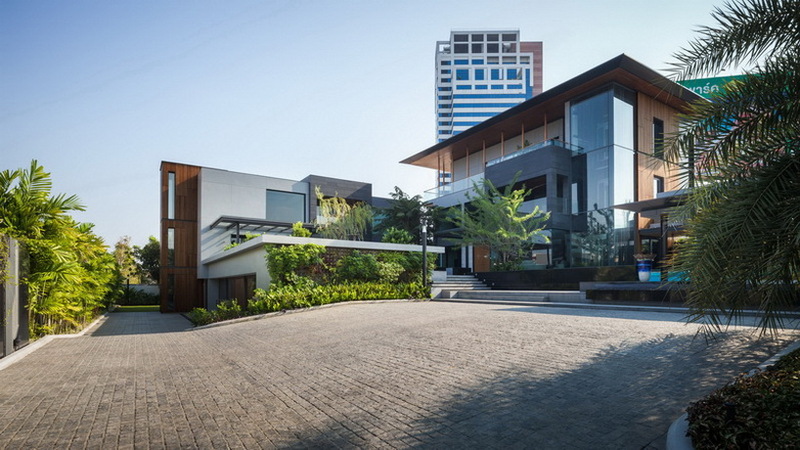 thai design firm seARCH office has designed an exclusive residence for an extended family on the land around 2.0 rai in pattanakarn road, bangkok. 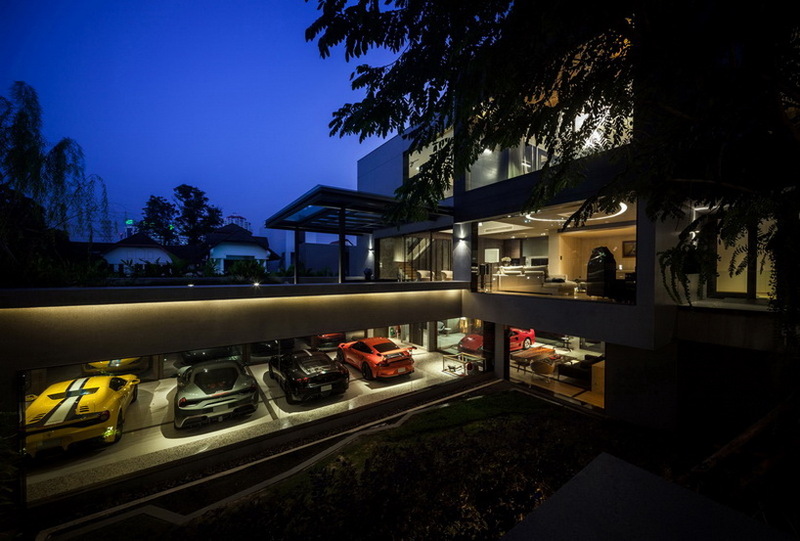 comprised of three private houses, connected to the each other via the common area and swimming pool, ‘oks casa’ includes various ultra luxe spaces, with the most extraordinary one probably being the supercar gallery with six supercars and five other cars, and a cockpit room adjacent to it. 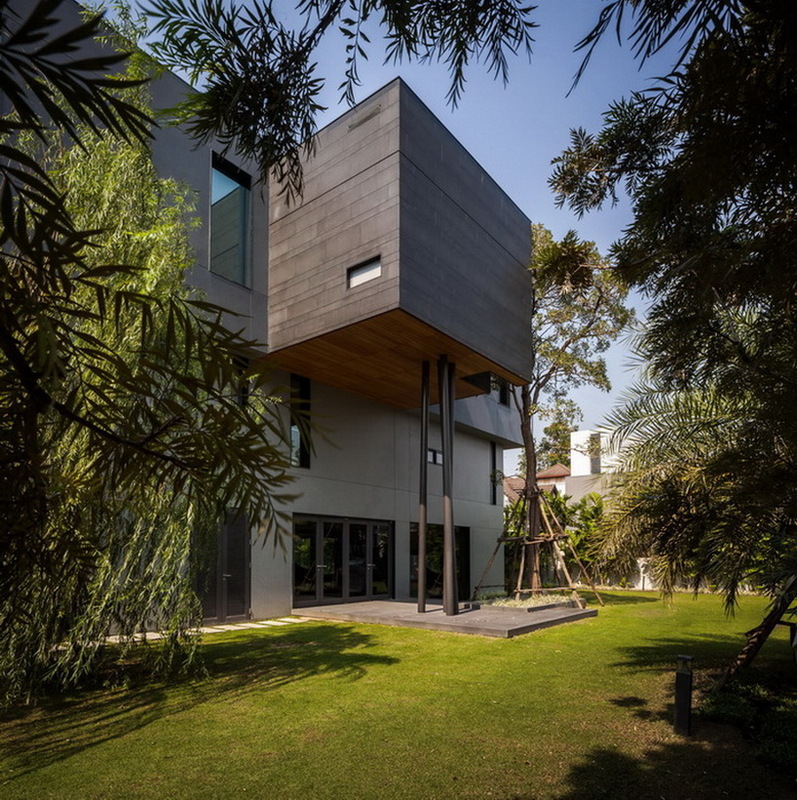 seARCH developed ‘oks casa’ with a design concept of enhancing the typical house and going beyond its normal, practical functions. 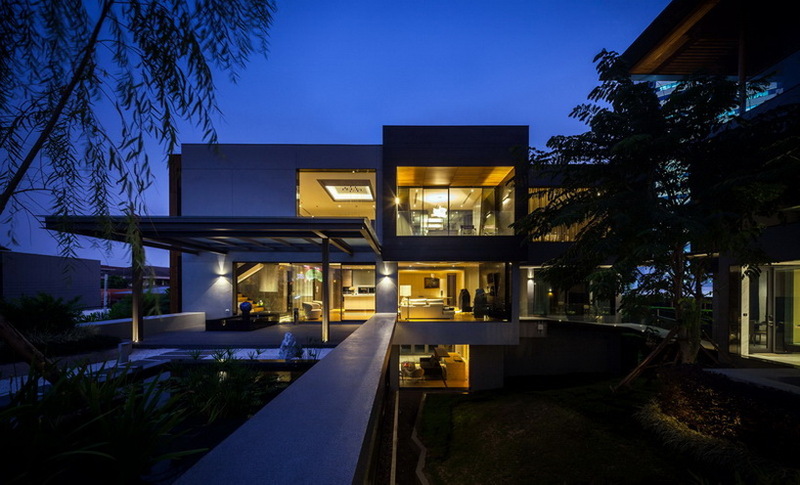 with a total area of 3000 sqm, the residence is developed horizontally and adds up to four levels at its highest, with a hidden lower floor underneath the common room that includes the drop off area, the swimming pool and the pavilion. 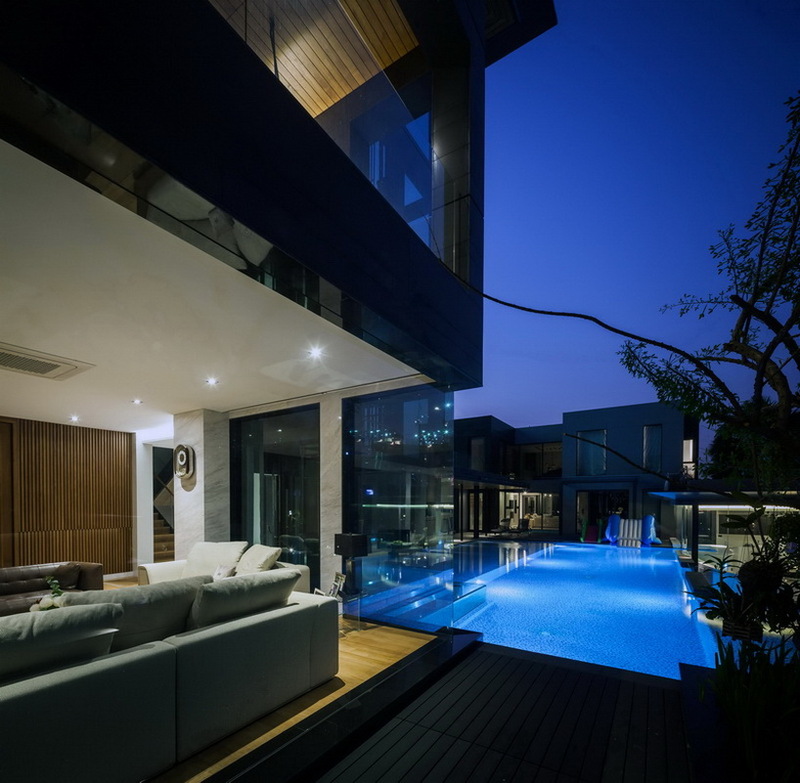 the family pool acts as a connection space, joining all the buildings together, and also as the center of the house, visually and physically. adjacent to it, the pavilion contains a multifunctional area for recreation, with an air conditioned lounge and a bar that connects to a part of the pool. 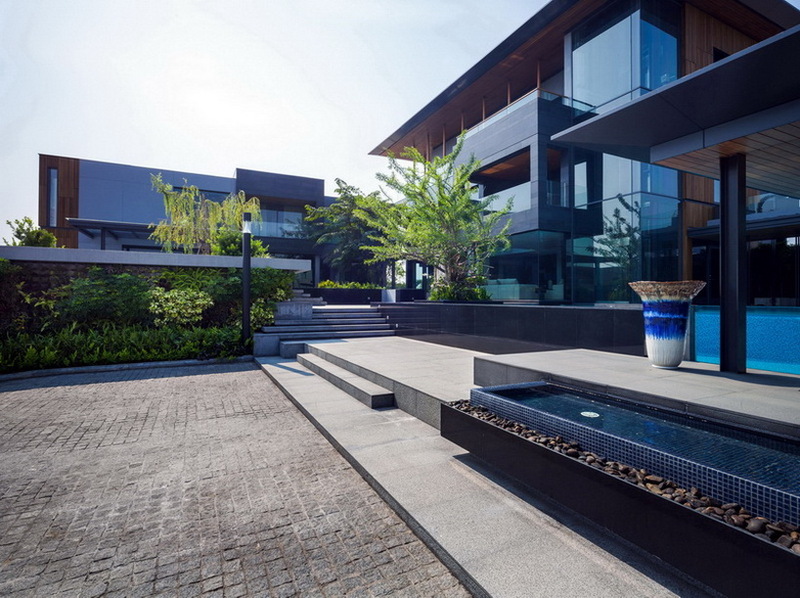 while approaching the residence, a half-submerged level contains the main garage, maid quarter, mechanic room, storage, wine cellar and shooting gallery. 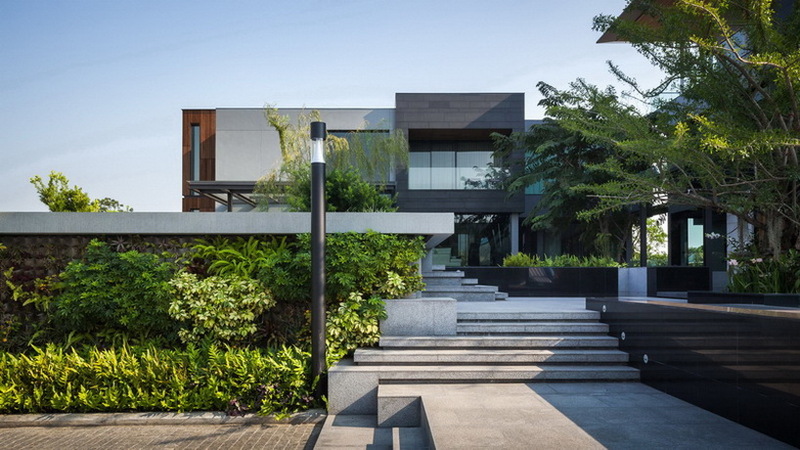 many of the special areas of the project are intentionally hidden, waiting to be discovered by the owners. at the cobble stone plaza of the entrance, a descending slope leads to the supercar gallery with the adjacent cockpit room. 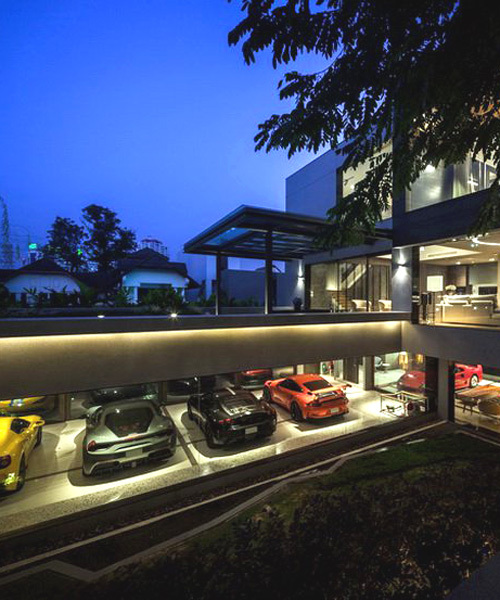 the structure spans 18 meters without any column, where a supercar can be driven, and at the same time it can function as a guest gathering place and entertainment lounge with minibar. 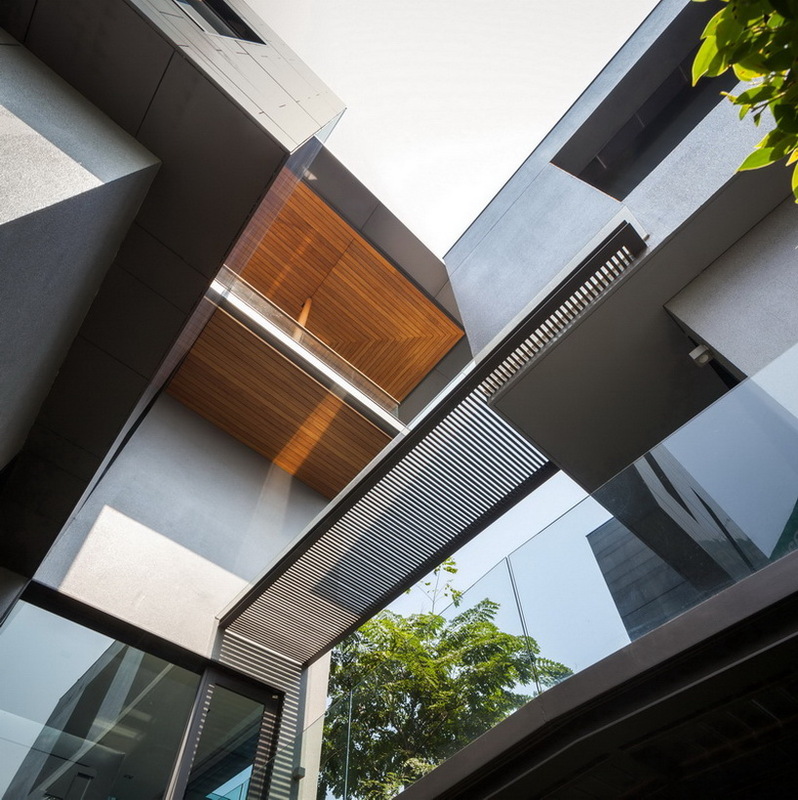 entrance to the main house is via a glass elevator at the garage, which moves up through a section of water and emerges in the living hall. 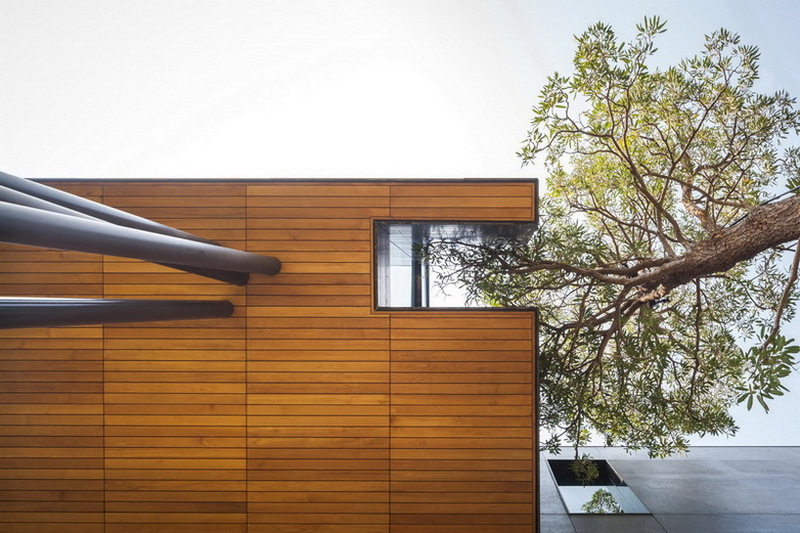 the double height open lobby faces towards the pool and the surrounding landscape, where large trees act as natural tools to visually scale down the height of the building. 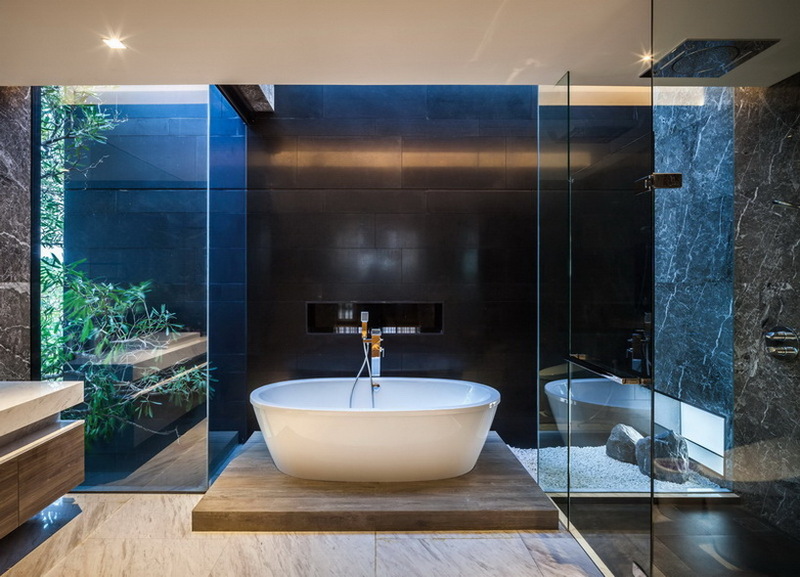 steel columns intersect with the wooden ceiling to support various extruded spaces, while on the inside, marble stone walls reflect natural light that enters through the floor-to-wall windows.